Durebuild STE has been developed specifically for Australasian conditions using the latest epoxy technology. It is principally used as a high performance maintenance coating over hand, power tool or high-pressure water cleaned steel where blasting is impractical or not allowed. The high surface tolerance of DUREBILD STE makes it suitable for a wide range of substrates. Two coats of DUREBILD STE Black applied to houseboat pontoons is ideal for fresh and salt-water immersion. Luxepoxy 4 White Primer is suitable for a broad range of substrates such as galvanized steel, non-ferrous metals, concrete, hardwood, MDF and fibreglass as the primer for high performance two pack and single pack coatings. It displays a high degree of solvent, chemical and abrasion resistance. Weathermax HBR White has been locally developed for high build roller or brush application. 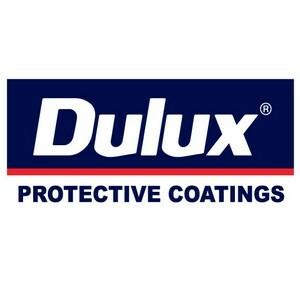 It is a high performance coating that exhibits excellent gloss and colour retention during extended service periods in severe industrial and marine environments and in extreme uv exposure. Weathermax HBR White is a high build recoatable polyurethane coating designed to be used over a wide range of suitably primed substrates such as mild steel, galvanised steel, concrete, aluminium and fibreglass.